As of January 1, 2015, there were 27,518 North Korean defectors in South Korea. Well, this statistic, provided by the Ministry of Unification, is somewhat misleading: The figure includes all cases of defection since the Armistice Agreement of 1953. Some of the refugees have died (though not many, since 90 percent arrived after 2000), and others have moved to third countries, so the actual number must be a bit lower. This is rather significant community, but it cannot be seen as particularly successful. Indeed, the adjustment to a new life in the South is not easy for the majority of refugees. It suffices to say that in 2014 the average monthly income of the refugees was an estimated 1.14 million won, almost exactly half the nationwide average. The refugees’ unemployment rate is 9.7 percent, which is three times the nationwide level. Indeed, few people in the know would deny that North Korean refugees in the South have great problems with adjusting to the South Korean life. These problems would be unthinkable among the Cold War-era refugees to the West, or the former citizens of the Communist Bloc countries which fled to Europe, the U.S. and Israel back in the 1970s and 1980s. They had their share of troubles, to be sure, but their problems were very different from what North Koreans experience in the South. This is not surprising: The North Korean refugee community in South Korea is also very different from its Cold War-era analogues. The first difference is the gender composition: Women constitute nearly three-quarters (70 percent) of the refugee community, and their share among the most recent arrivals is even greater (78 percent among the 2014 arrivals). This imbalance largely reflects the mechanics of escape: The North Korean surveillance system treats women with some leniency, and this makes escape easier for them. It also helps that most jobs available for the illegal migrants in China are of the “feminine” type – housekeepers, janitors and waiters. Last but not least, women can survive and make a basic living in China by cohabitating with the local males. The second difference is the rather poor educational background of the refugees. While the Cold War-era refugees usually had an education above the average for their countries of origin, the opposite is true for the North Koreans in the South. Only 7 percent of the refugees at the time of their arrival had college-level education, and another 9 percent are graduates of specialized schools, somewhat reminiscent (but generally inferior) to the junior colleges of South Korea and U.S. The third difference is that the refugees have rather humble social origins. Only 5 percent of them are described as “specialists/professionals,” “managers/administrators” and “workers in the arts” while the rest are either workers, farmers or people with no formal employment back at home. The latter should not surprise us, since many women were full-time housewives, and many refugees are their children. Interestingly, some 35 percent of all refugee children below the age of 7 were actually born in China where their mothers lived for years, often in an unregistered marriage with Chinese males. The fourth is the refugees’ place of origin. While the Cold War-era Eastern European refugees overwhelmingly came from their nations‘ capitals and other major urban centers, the vast majority of the North Korean refugees originated from areas near the border. An astonishing 63.9 percent of all refugees come from North Hamgyong province, and another 9.0 percent are natives of South Hamgyong. Merely 1.9 percent lived in Pyongyang prior to their defection. Once again, it is not difficult to explain: It is very risky to escape if you live in Pyongyang or any other major city, located far from the border. So, simplifying things a bit, the average Cold War defector from the Communist Bloc was a young, well-educated, socially ambitious male whose decision to leave was at least partially motivated by his political views. 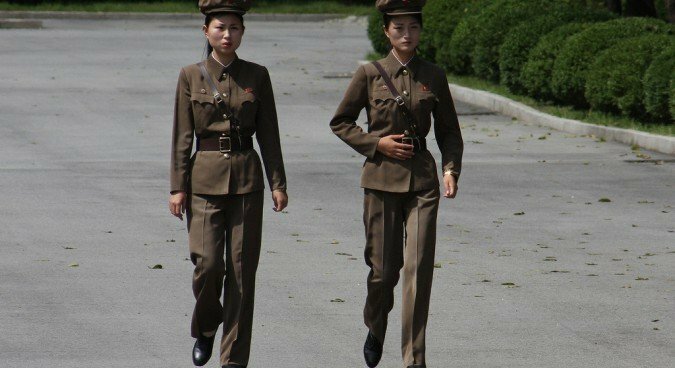 The average North Korean defector is a middle-aged woman with little formal schooling, little interest in things political and, most importantly, a dearth of skills which would be useful in the South Korean society. So, one should not be surprised that they do not fare that well in the South. Such composition among the refugee community reflects how North Korean society is structured and run. Perhaps North Korean intellectuals are less opposition-minded than, say, Eastern European intellectuals in the 1970s, but this is not something we can know for sure. However, we can be certain that their internal surveillance system, the world’s most efficient and unforgiving, makes an escape from Pyongyang almost impossible. People who can leave with relative ease are overwhelmingly from the underprivileged population of the borderland areas, so it comes as no surprise that they are overrepresented among refugees. This situation means that North Korean refugees need to be prepared for their life in the South. Fortunately, South Korean decision-makers understand the need for such training perfectly well, and in the last 15 years a sort of the re-training system has emerged. Immediately upon arrival, the refugee is subjected to a lengthy debriefing, conducted by South Korean intelligence in cooperation with other government agencies. During the debriefing procedure, officials not only do what they can to get all useful intelligence from the arrivals, but also try to sort out possible and potential North Korean agents (there have been a number of cases when an agent passed for a North Korean refugee – or a genuine refugee was recruited by North Korean intelligence). They also are on the lookout for a peculiar type of fraud: the ethnic Koreans from China who pass for refugees in order to obtain the much-coveted ROK citizenship. Since ethnic Koreans speak the same dialect as North Koreans of the borderlands, and often have very good knowledge of North Korean society, this task is not easy. After the debriefing is over, the North Korean refugees are transferred to an educational facility known as Hanawon (which can be roughly translated as the “House of Oneness”). Hanawon was established in 1999 when the numbers of defectors, hitherto negligible, began to climb. Hanawon exists to provide the refugees with basic ideas about life in modern South Korea and teach them the basic skills which are important for daily life in their new country. The current program lasts for 12 weeks, with classes conducted from 9 am to 5 pm daily. The arrivals are explained the basics of the Korean history and political structure, taught how to handle banking operations, how to buy tickets in subway and how to deal with other seemingly mundane tasks of the daily life. There is also a bit of vocational training provided, but within the available time this training is necessarily of limited quality and, hence, limited use. As studies testify, vocational training is especially valued, while refugees often see general education as unnecessary. Tellingly, they almost unanimously agree that the least interesting of all Hanawon subjects is “unification” – classes where the new arrivals are taught some basic facts about the authentic North Korean history and politics. Once the refugees emerge from Hanawon, they are not left alone, but can rely on a social support network that is quite generous – at least, by the modest standards of South Korea, not known for the generosity of its welfare programs. First of all, they receive “resettlement money,” whose size depends on the size of family – for a single defector, this is 7 million won (a little less than $6,400) now. They are eligible for subsidized accommodations and for five years after their arrival they receive monthly payments from the government if their income is below a certain level. They are also eligible for free medical treatment, and the younger refugees (35 or younger) can study at the universities and colleges free of charge. They also sit in on special, much simplified, entrance exams – an important advantage in the hyper-competitive world of Korean higher education. The employers who hire them are given some subsidies, too. However, these support measures so far have delivered only limited success, as the above-mentioned income and employment statistics testify. 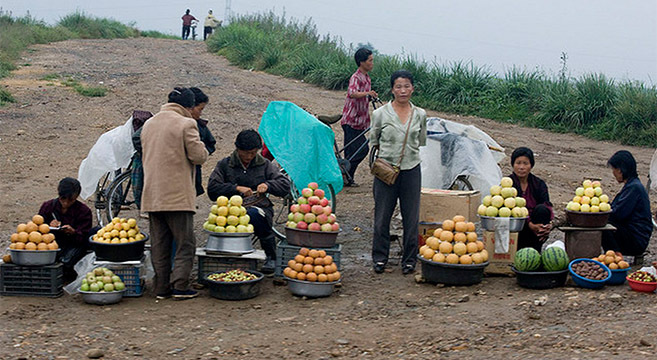 The North Korean refugees tend to work at low-paid unskilled jobs, they change their place of employment frequently, they are prone to conflicts at work – and they often feel lonely, isolated and depressed. Poor background knowledge means that they seldom can acquire necessary skills, and thus most of them are relegated to simple menial labor. In spite of all efforts of the social workers, the refugees are often seen as outcasts or, at least, “socially weak” – not a good description in status-driven South Korean society. It is telling that many of them and, especially, their children of school age tend to hide their origins whenever possible. Needless to say, this experience does not bode well for the post-unification future of Korea. The refugees might be undereducated and underprivileged, but they clearly come from the socially most mobile and flexible parts of North Korean population. Additionally, they themselves, of their own volition, decided to move to the South, and hence they have less inclination to blame others for their problem. They are also subject to rather generous welfare programs which, in spite of all their insufficiencies, help to a degree. One can only wonder what will happen if a German-style unification comes one day. This will mean that millions of North Koreans will find themselves incorporated into South Korean society, of which they will know little and understand even less, and where their skills and experiences, developed to survive in a technically backward and isolated society, will become useless. Not a good prospect, to be sure, but it seems that not much can be done about it. Subscribe to read the remaining 1751 words of this article.